An international team of scientists, including Dr Alex Dunhill from the University of Leeds, has found that although the mass extinction in the Late Triassic period wiped out the vast proportion of species, there appears to be no drastic changes to the way marine ecosystems functioned. Lead author Dr Dunhill, from the School of Earth and Environment at Leeds, said: "While the Late Triassic mass extinction had a big impact on the overall number of marine species, there was still enough diversity among the remaining species that the marine ecosystem was able to function in the same way it had before." "We're not saying nothing happened," said co-author Dr William Foster, a palaeontologist from the Jackson School of Geosciences at the University of Texas at Austin. "Rather, global oceans in the extinction's aftermath were a bit like a ship manned by a skeleton crew – all stations were operational, but manned by relatively few species." The team compared marine ecosystem across the Late Triassic mass extinction event by examining fossils from the Middle Triassic to Middle Jurassic –a 70 million-year span. They classified the lifestyle of different ocean-dwelling animals by how they moved, where they lived and how they fed. Dr Dunhill said: "One of the great marine casualties of the Late Triassic were stationary reef-dwelling animals, such as corals. When we examined the fossil record we saw that while the marine ecosystem continued to function as a whole, it took over 20 million years for tropical reef ecosystems to recover from this environmental cataclysm. 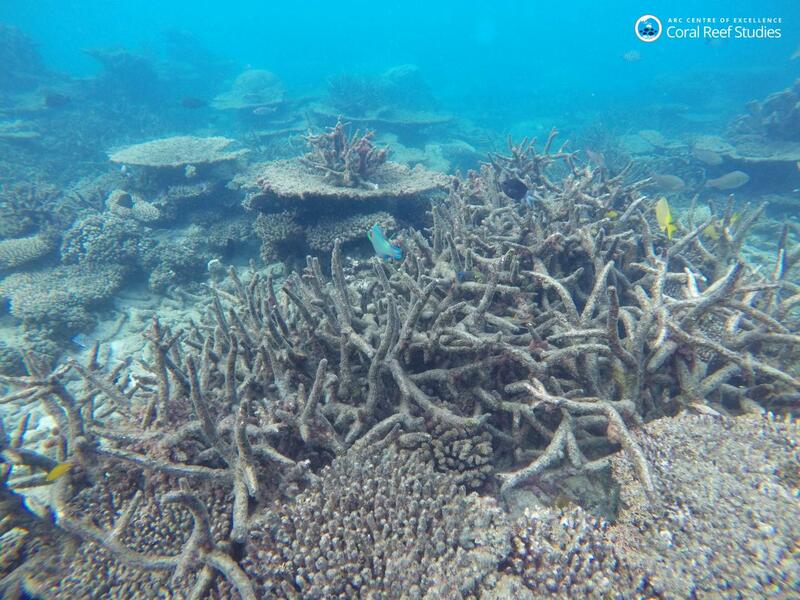 "Reef ecosystems are the most vulnerable to rapid environmental change. The effect of the Late Triassic greenhouse gases on marine ecosystems is not so different from what you see happening to coral reefs suffering from increasing ocean temperatures today." Co-author, Professor Richard Twitchett, from the Natural History Museum in London said: "Understanding the extent of reef collapse during past extinctions may help us predict what is in store for our modern marine ecosystems. "Tropical ecosystems suffered widespread devastation each time that greenhouse gases rose rapidly in the past, despite differences in the rates of change and species involved. When you see similar responses occurring time and time again in the past, despite different starting conditions, it follows that similar responses will likely occur again in the future." Credit © The Trustees of the Natural History Museum, London . All rights reserved. Caption: A close up of one of the blocks from ammonite pavement bed. The research paper, Impact of the Late Triassic mass extinction on functional diversity and composition of marine ecosystems, is published in Palaeontology 20 October 2017. (DOI: 10.1111/pala/12332).